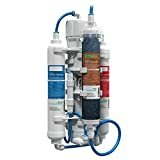 How To Change Filter Cartridges In An RO Filter System? 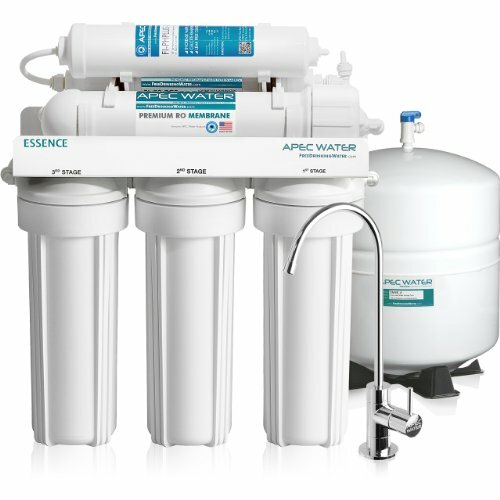 A reverse osmosis system is a 3 or 5 stage filtration system which uses advanced filtration technologies to provide pure, high-quality filtered water. This water is purified from all kinds of unhealthy contaminants that become a part of water as a solvent. The reverse osmosis system also filters out any kind of foul odor and unpleasant taste. Advanced Reverse Osmosis systems also use Ultraviolet rays to further sanitize the water and retain all the healthy minerals present in water. The Reverse osmosis systems are widely used in water filtration plants and their domestic use has also increased lately. Small sized reverse osmosis systems are being designed for domestic water filtering. Domestic systems are usually based on 3 or 5 stage filtration process. Along with the central reverse osmosis filter, pre filters and post filters are used to produce healthy drinking water. The domestic reverse osmosis filtration system is a great investment, but requires proper maintenance and cleaning of filter cartridges and the Reverse Osmosis Membrane. It is advised to change filter cartridges every 6-9 months and RO membrane should be changed every 2 years. 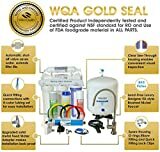 The domestic Reverse Osmosis systems are designed such that their repair and maintenance is simple and easy unless there is some major technical issue with the RO system. A lay person can easily change filter cartridges of a reverse osmosis system and handle everyday maintenance tasks. Most reverse osmosis systems are based on “plug and play” technology; you don’t need any tools to remove the filter tanks and then put them back. Turn off the external water supply to the RO system. Release the pressure of the filtration unit by opening the end faucet and let it stand for a few minutes. Start opening the filter tanks by rotating them in a counterclockwise direction. This process is usually done by hands, but if the filters are too tight, you can use filter wrench. Carefully, slide out the old filter cartridges and keep the filter tanks in an upright position as there is water in them. Sanitize the filter tanks if required. Sanitization must be done every two years. Insert the new filter cartridges and be careful not to contaminate them with your hands. Leaving the RO membrane filter tank, take off all the filter tanks using the same procedure and insert new filter cartridges. Screw back the filter tanks in your filtration system by rotating them in a clockwise direction this time. Test the system by running water through it, do not drink the initial water coming out of the system. The domestic reverse osmosis filtration systems have a compact design and are usually installed underneath your sink or over the kitchen counter. Wherever the system might be installed, by following this simple process, you can easily perform maintenance checks on your reverse osmosis system and make it last longer. We tried replacing the filters for my Reverse Osmosis system. When unscrewing one of the units, tons of water came gushing out. What a mess! All the components for the water were turned off. Why on earth did this happen. Seems that large amounts of water was still in the filers??? Is this possible. We had large amounts of water all over my floors and cabinets. Yes, the filters remain filled with water. When removing them you have to be careful not to spill the water in them.